Barbara Millar was raised in Antigonish, NS. She attended the nursing program at the Halifax Children’s Hospital (now known as the IWK), completed her post-graduate education in Psychiatric Nursing at the NSH in Dartmouth. Barbara later completed a 1 year Diploma in Teaching & Administration. She obtained a Bachelor of Science in Nursing Degree at Mount St. Vincent University and in the twilight of her nursing career, completed a Master in Education degree from Dalhousie University. Barbara has worked as a staff nurse at the “Toronto Sick Kids” Hospital and has taught at the Nova Scotia Hospital and the Victoria General Nursing Programs. She was Director of Care and then later, Administrator at Keddy’s Nursing Home and spent the final 19 years of professional life as Chief Supervisor for Nova Scotia’s Homes for Special Care. Although she is “retired,” Barbara continues to teach and to share her wealth of knowledge and breadth of experience in gerontological nursing. 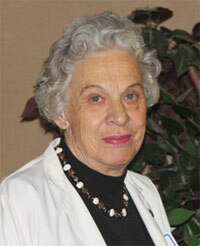 NSGNA thanks Barbara Millar for her many contributions to gerontological nursing in Nova Scotia. 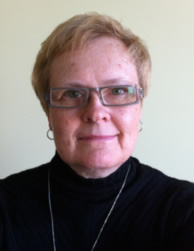 Deborah Vanderwater has been a member of CGNA since 1984. She was the Vice-President of CGNA from 1987 - 1989, President from 1989 - 1991, and Past President from 1991 - 1993. Deborah assisted in spearheading of the initiative to request Special Interest Group status with the Canadian Nurses Association in preparation for development of Certification with CNA. She also chaired the national CGNA committee to develop the proposal for Certification examination status with CNA in 1999. Deborah served on several geriatric nursing examination test writing committees for CNA and was a member of the Planning Committee for the CGNA Biennial Educational Conference in 1987 and 2005. She received Honorary Life membership from the CGNA in Kelowna in 2003 and received the first Nova Scotia Gerontological Nurses Association's Honorary Life Membership Award in 2004. Deborah is an Independent Health Care Consultant since 2001 and a Professor with St. Francis Xavier University School of Nursing. She continues to work and reside in Halifax, Nova Scotia with her family.